Throughout Barack Obama’s Presidency we saw an increase in terror attacks in the United States and also across the world, no doubt due to the migrant crisis and the refugee problem, which had truly opened up the flood gates for Islamic Extremists to run wild across Europe and to employ many terror attacks, which were greatly under reported or also reported as only “lone gunmen” or “lone wolf” attacks, with no relation to Islamic Terrorism, whatsoever. That’s a lie. This of course was a huge trend of Obama’s Presidency and with the biased left wing media as a whole, simply describing terror attacks as “lone wolf” attacks, done by mentally ill people who happen also to be “Radical Islamic” operatives . They could never utter the words “Radical Islamic Terrorism” even though most, if not all of the incidents, were committed by “Islamic Terrorists” or by those of “Muslim Descent”, in order to cause further terror on the West. Last week, to further enforce the security of the U.S.A. borders, President Donald Trump imposed a 90 day travel ban from 7 dangerous states in the Islamic world, known for their ISIL (ISIS) training camps, in order to further secure the U.S. borders and also to implement stronger vetting in Immigration to The United States of America. 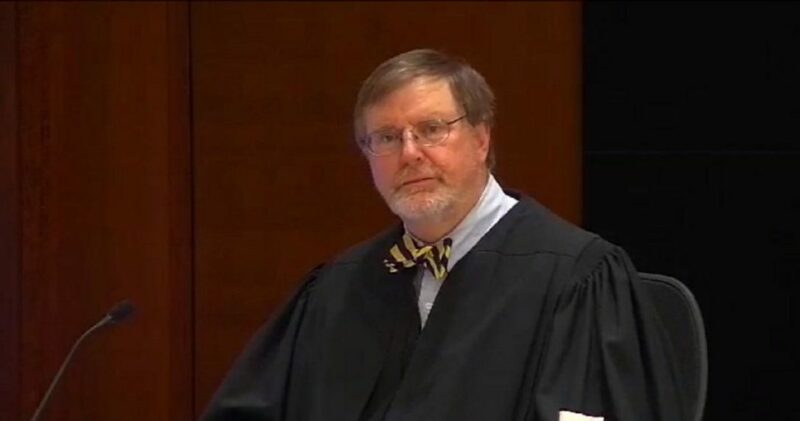 Following on from the travel restrictions, a Federal Judge in Seattle, James Robart (ties to the Obama administration), upheld the ban last Friday and once again let these countries bring in travellers and immigrants into the USA. So, how many potential terrorists have entered since he upheld Trump’s temporary travel ban? Well, only time will tell, but as you see below, this Robart guy isn’t for America, that’s for sure. However on Monday, Donald Trump along with Sean Spicer, announced a comprehensive list of 78 attacks which the U.S. mainstream media had failed to report on, which is causing the American public to be deceived in the reality of the internal threat from “Islamic Terrorism”, across the world. Not only in the U.S.A. not to mention, all the other incidents of refugees and migrants, committing crimes in European countries, not only in France, but in Sweden and in Germany, from rapes to physical assault, to arsons, to an upward spike in crimes across small towns and cities in the countries which took in so many migrants. In America, it’s as if people are well (already knew that) and truly clueless and we can gather that the mainstream media wishes not to report on “Islamic Terror” attacks at home or abroad, because it doesn’t support their lunatic narrative of all inclusiveness and bringing everyone into America, even though, they might be terrorists and will also cost the country dearly. Let’s take a look at the list of 78 attacks that had been under reported or even failed to mention them as “Radical Islamic Terror Attacks”, down below. Donald Trump and his team are now working hard to enforce the temporary travel ban again, whilst people like James Robart (ties to Obama Administration) want all these dangerous refugees and illegal immigrants to come in and pose a serious security risk to the U.S.A. This is how we see it and Donald Trump is being met with globalist resistance (War Mongering Elite) and lying news media on the daily, but, what else is new? You need only look to countries such as Germany, Sweden, the United Kingdom, to realise the threat of political correctness, socialism, multiculturalism and open borders for refugees and what threats these Muslim migrants really pose, so, let’s hope that America finally wakes up and smells the coffee and that they supports Trump’s cause for a temporary ban and stringer vetting on immigration from these nations. A typical protest sight in East London, UK. Is this what the U.S.A wants? Just look at this authentic photo from the U.K., maybe now America will see what they are really up against, here? However, the problem is the lying news media, but obviously the establishment’s resistance couldn’t uphold all the people that voted for and that actually supported President Donald J. Trump, the difference is that you just won’t hear about it on the news. That’s the ever-evolving reality in this new landscape of American news media, to lie, to withhold information, to brainwash and to do anything to discredit and to stop Donald Trump at every turn, but we’re still betting on Trump to keep America safe and to bring back law and order; plus logic and common sense before the country turns into what Germany or Sweden has turned into, which is a blind socialist country in denial of the threat of “Radical Islamic Terror” and the dangers of letting everyone into a country, with the hopes of them being super-friendly; despite costing the tax payer lots of money in free benefits for all of them and their families, whilst they contribute next to nothing, apart from terrorism and some of them also hope to make the West into a future place of Sharia Law. Watch this video of a young African man speaking out about the dangers of a sympathetic view on Radical Islam and their future plans to take over. STAND UP AMERICA!! Ex Muslim speaks out!! WE ARE ON THE CLOCK!! America are brainwashed by the left-wing-socialist news media and they do not realise the threats that Donald Trump is trying to implement security for, as Obama was nothing more than a freight train of destruction for the U.S.A., hence why Donald Trump is trying to bring back Christian values and to fight against the Islamisation of America. We stand with Donald Trump as always on his policies to make America Safe again, but it’s just a shame that the mainstream media are a bunch of lying phonies that want the worst for the country and that these protestors are nothing more than brainwashed liberal numpty’s via causation of the lying mainstream news media. But, that’s not news, since they even greatly under reported and maliciously spread fake news about Donald Trump’s rise to victory as President, so let us not forget that, either. Let Donald Trump do his job for the good of America and its people!